My goodness this year is going quickly. We have had a fun weekend celebrating Halloween, have entered the Winter month of November and are looking forward to Bonfire Night on Thursday. This year, our Fire Work Display has moved from the usual rugby field venue to our local marina, it’s a shame that it’s moved further away from our house (it was metres away) but at least we won’t have to wear wellies in a muddy field for the first year ever! These Leather Kids Ugg Boots will keep the kids feet dry and warm and they look great too. 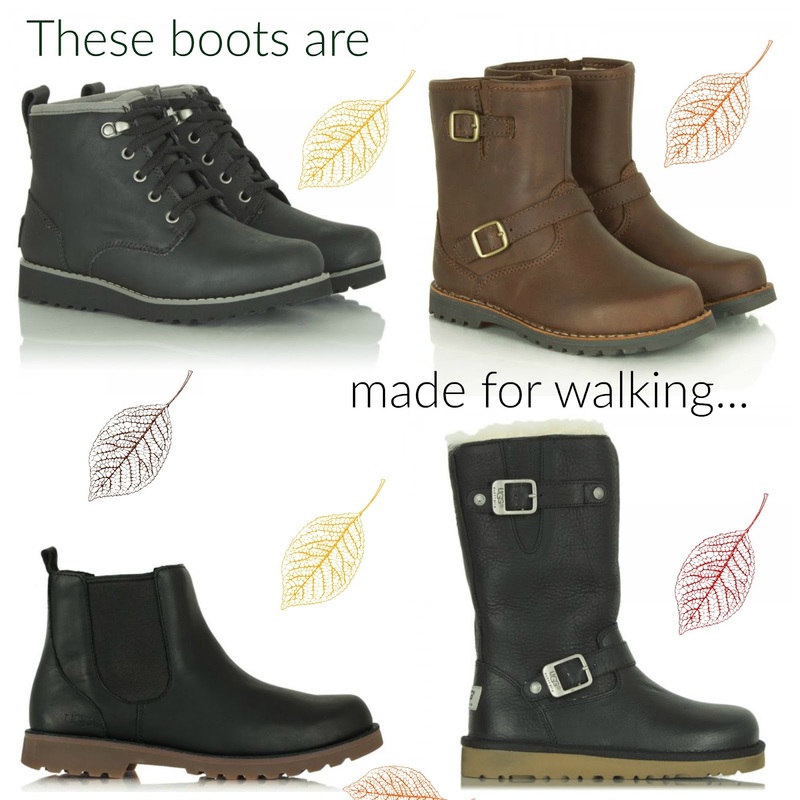 They are perfect for Autumn and Winter walks and days out.